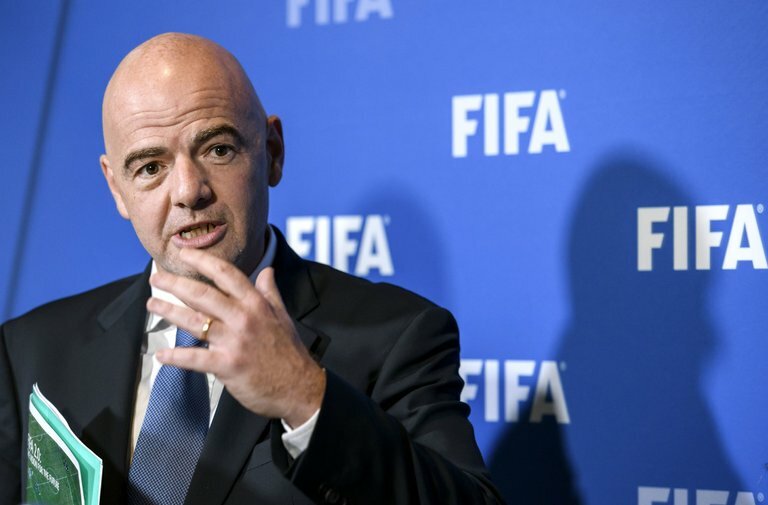 Gianni Infantino, the president of FIFA, said 32-, 40- and 48-team World Cup tournaments would all be considered when the FIFA Council takes up the matter in January. FIFA, world soccer’s governing body, is expected to decide in January whether to expand the World Cup finals from a 32-team tournament to include as many as 48 countries, the organization’s president, Gianni Infantino, said Thursday. Infantino, elected to the post in February to replace Sepp Blatter, said the governing FIFA Council had been “rather positive” in a meeting Thursday about a possible expansion. “The level of quality of football is increasing all over the world,” he said. A vote will be taken when the council meets again in Zurich in January, he said. The new format would almost certainly extend the monthlong tournament to five weeks or more, and would most likely be introduced for the 2026 tournament, which the United States, Canada and Mexico have all expressed an interest in hosting.